The heat and humidity of the jungle made its mark on the first World Cup match to be played in the Amazon rainforest, and so did Mario Balotelli. With players from both sides slowing as the game wore on, it was the man with the mohawk that headed in the deciding goal early in the second half to give Italy a 2-1 win over England and a decided advantage in Group D.
"We won, but now let's keep our feet on the ground, otherwise we're not going anywhere," said Balotelli, an often volatile and often brilliant striker who was nearly dropped from the starting lineup after struggling for AC Milan this season. Balotelli was left unmarked at the far post in the 50th minute, giving him plenty of space to head a cross from Antonio Candreva past goalkeeper Joe Hart for the winning goal. The match was played in the Amazonian city of Manaus, the most exotic of the 12 World Cup venues for this year's tournament. According to FIFA, it was 30 degrees C (86 degrees F) with humidity at 61 percent for the match. 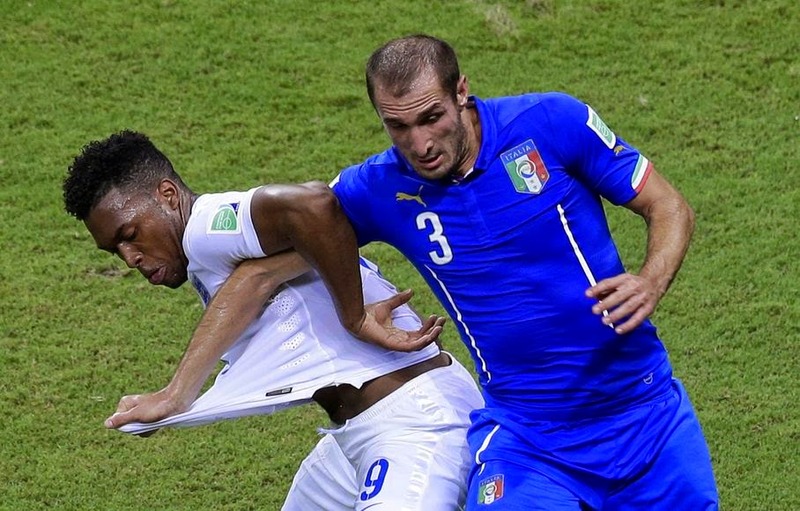 "At times it felt like having hallucinations due to the heat," Italy midfielder Claudio Marchisio said. Marchisio gave the four-time champions the lead with a long shot through a crowded area and past a diving Hart in the 35th minute. 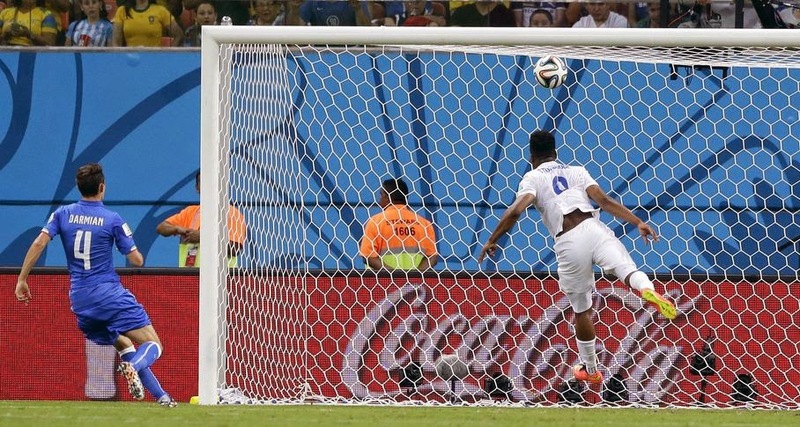 Daniel Sturridge equalized for England two minutes later, tapping in a cross from Wayne Rooney. In the other Group D match, Costa Rica beat Uruguay 3-1. So both England and Uruguay, who meet Thursday, have plenty of work to do to advance. 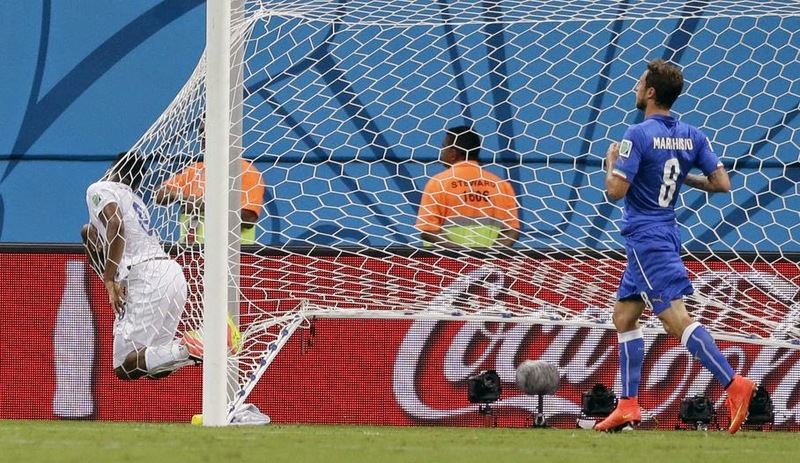 "We all need time to digest what happened on the field," England coach Roy Hodgson said. "My gut feeling is that we did very good things. There were some very good individual performances." Both teams complained about the heat in Manaus, with Italy coach Cesare Prandelli questioning the decision to not have official timeouts during play. "We had to slow down our pace to regain our breaths," Prandelli said. "It was impossible to maintain the intensity." The choice of Manaus as a World Cup host city has been under scrutiny for years, mainly because of the weather conditions and the lack of a top football team in the city. Besides Saturday's game, there will be three more World Cup matches played in the jungle, including Cameroon vs. Croatia on Wednesday. The United States will then face Portugal in Manaus on June 22 and Honduras will play Switzerland on June 25. But the city's debut on the World Cup stage was one of the most high-profile matches of the group phase, and one of the most high-profile players on the field made the difference. 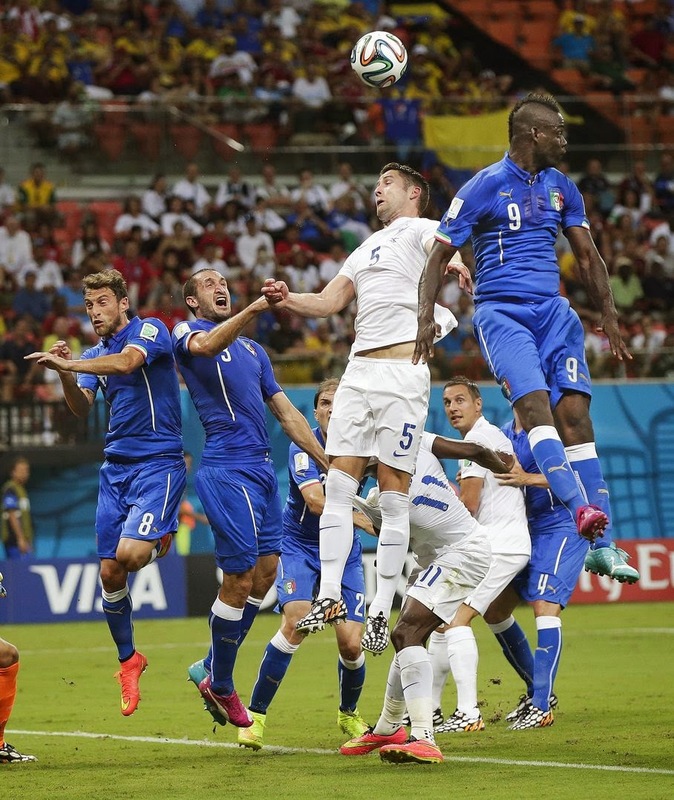 "This was a very difficult (game) because England are a good team and there was the climate as well," Balotelli said. "We suffered, but then that's typical for Italy. The important thing is to win. " Although he is one of the most talented strikers in football, there were some predictions heading into the World Cup that he would be dropped in favor of Ciro Immobile. Immobile, who plays for Torino, scored a hat trick last weekend in a warm-up match against Brazilian club Fluminense. Prandelli, however, decided to stick with his main man. Balotelli was born to Ghanaian immigrants and raised by Italian foster parents, and has often been forced to deal with racist chanting in Italy. However, the abuse hasn't prevented him from becoming a key player for the national team, including scoring two goals in the semifinal win over Germany at the 2012 European Championship. Balotelli also nearly found the net in first-half injury time, running deep into the area and enticing Hart to come off his line. 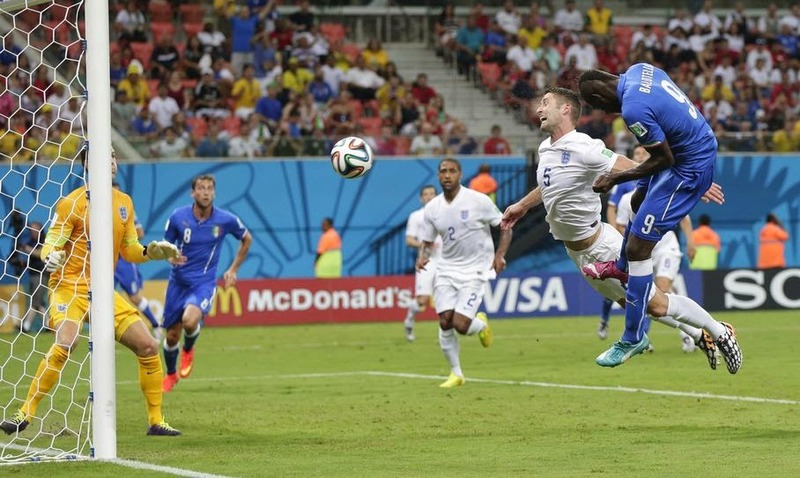 The Italy striker stopped, looked toward goal and sent a chip over the keeper's head but Phil Jagielka headed the ball over the bar. England's attack-minded lineup made frequent runs into the Italy area throughout the match, and came close to scoring several times. When Sturridge did score, England team physio Gary Lewin dislocated his ankle while celebrating the goal. Italy played without the injured Gianluigi Buffon. The 36-year-old goalkeeper, who can play in his fourth World Cup if he is able to recover from an ankle problem, was replaced by Salvatore Sirigu. The PSG keeper stepped up and made several good saves, but the best may have come in the 77th when he dived to his left to block a free kick from Leighton Baines. Prandelli praised Sirigu, but hopes Buffon will be back for Friday's game against Costa Rica. "We tried to have him back for tonight but weren't able to," Prandelli said. "Over the next few days we'll try to get him back. But I can't say by when."